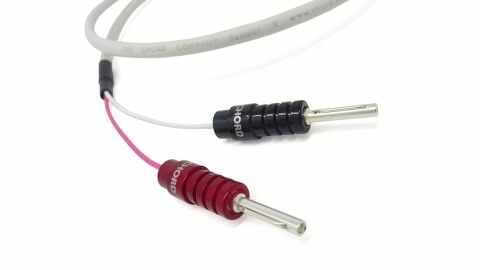 Chord Company RumourX speaker cable review | What Hi-Fi? Chord Company’s recent track record has been little short of astonishing. We’ve had a stream of interconnects and speakers cables over the last few years and none of them have disappointed, each securing a place at the top table at their respective price point. Along with all the five star verdicts, the company has dominated our cable awards too – and the newly introduced RumourX isn’t going to buck that positive trend. The original Rumour was introduced way back in 1996, and at the time was only Chord’s second attempt at a speaker cable. It says much for the original design that, cosmetic changes apart, it has remained pretty much the same until now. Chord’s development work with high-end ranges such as ChordMusic and Sarum T showed that it was possible to make significant improvements to the Teflon dielectric material that the company used until then. While the subsequent high-end solution of Taylon proved too expensive to use in products such as the RumourX, a more reasonably priced alternative XLPE (Cross-linked Polyethylene) was found instead. This has been substituted into the Rumour recipe. The rest of the cable remains much as it has always been. That’s no bad thing. This is a surprisingly thin gauge cable that uses silver-plated high purity copper conductors and measures just 6mm in diameter. The conductors are twisted to improve interference rejection and covered in a flexible white PVC outer jacket. The terminations on our review samples are Chord’s classy-looking silver-plated ChordOhmic 4mm banana plugs. We try the RumourX in our usual reference set-up of Naim NDS/555PS music streamer, Gamut D3i/D200i amplifier and ATC SCM 50 speakers as well as a Naim Uniti Star/KEF R3 combination. It performs consistently regardless of partnering system. With the Chord plumbed-in, our systems deliver a crisp, clean and dynamic presentation. We’re impressed at the musically cohesive nature of the sound and the way our systems render subtle dynamic shifts with such finesse. There’s plenty of punch to the likes of Queen’s Under Pressure and the ability to latch onto that irresistible rhythm track with unwavering precision. While rivals, such as Audioquest’s similarly priced Rocket 22, deliver more in the way of sonic refinement and body to the sound, the Chord does enough in both regards to avoid complaint, while adding more in the way of punch and rhythmic drive. Both are excellent cables in their own way. Tonally, the Chord is well balanced, and as is the company’s way, falls just a little on the lively side of neutral. The important thing is that whatever music we play, from Beethoven’s Ninth Symphony to Kendrick Lamar’s To Pimp A Butterfly, our system sounds right at home. While the Chord Company RumourX can’t take full credit for that balanced and lively sound, it certainly plays a big part.